Brews by the Bay... It Beertastic! Drink like a fish, but don’t get too tanked” were the words of wisdom for this year’s Brews by the Bay beer fest, hosted at the Florida Aquarium. This Florida Aquarium and Pepin Distributing event brought beer fans from the Bay area to celebrate Oktoberfest and sample more than 50 beers and a dozen restaurants. 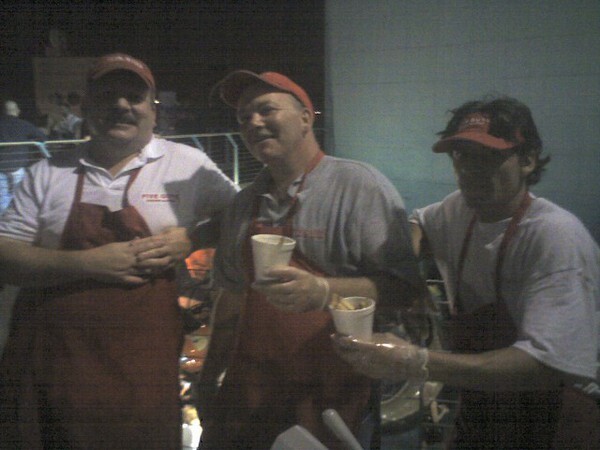 Tickets sold out just before the doors opened at 8p.m., leaving many mouths dry and thirsty. Those with tickets in-hand eagerly waited outside the Aquarium for their first sip. When the doors opened, guests were greeted by the sparkling tails and welcoming smiles of the Weeki Wachi Mermaids. Who can resist a photo-op with mermaids! The party started at the Aquarium’s Explore a Shore outside deck where a DJ was spinning the latest club hits. The beer fest went throughout the entire Aquarium and each area was equally full with partygoers contemplating on which beer was the best. Some of the favorites seemed to be Hefeweizen - it wouldn’t be Oktoberfest without it, Magic Hat #9 - a New England ale with a secret recipe, Tiger – an Asian lager with ingredients from around the world, and the “King of Beers” new Bud Light Wheat. Unlike the many beer fests full of volunteers who barely know the name of what they’re pouring, the Florida Aquarium and Creative Loafing did a great job of bringing knowledgeable beer ambassadors to the event. Local band, Four Star Riot, rocked out on the first floor of the aquarium and it wasn’t long before people were dancing the night away. Those who prefer a more relaxed atmosphere were found at the coral reef underwater viewing area listening to the sounds of an acoustic guitar. 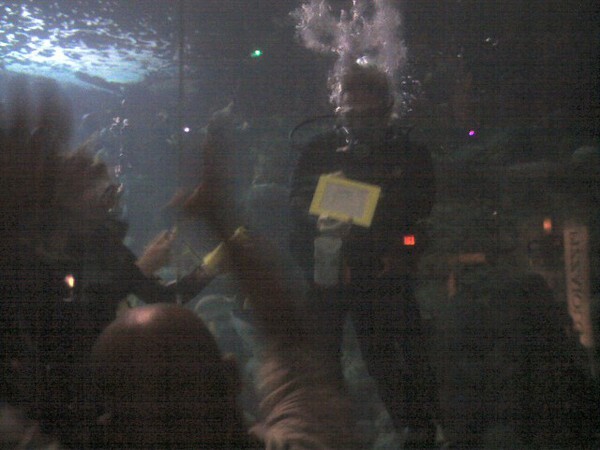 The Aquarium’s reef divers were there to enjoy the party too, making use of their abnormally good lip reading skills and etch-a-sketch boards. By the end of the night, beer drinkers had become beer enthusiasts and all seemed to agree that the event was a success. The Florida Aquarium not only gave the excuse to drink like a fish, but left a lasting impression as a great venue. I’m not sure how many listened to Creative Loafing’s words of wisdom, but I’m sure many will be marking their calendars for next year’s Brews by the Bay. That&apos;s all for now and be sure to stay tuned for more updates on Tampa Florida attractions and great events!